If you can live in New York, you can do just about anything. This city, while filled with hopes and dreams, is also filled with way too many people, high price tags, and cringe-worthy weather. Combine all those elements (and then some), and you've got yourself someone who has learned to cut the fat in all areas of their lives. In short, New Yorkers don't have time for any shenanigans whatsoever, and that's what we love about them. So how does that relate to you and your shopping habits? Sit tight, my friends. Today, you're going to hear from a handful of very stylish New Yorkers on the fashion hacks they've learned over the years that have saved them both time and money. Because if there's one thing New Yorkers know how to do best, it's hack the heck out of life. 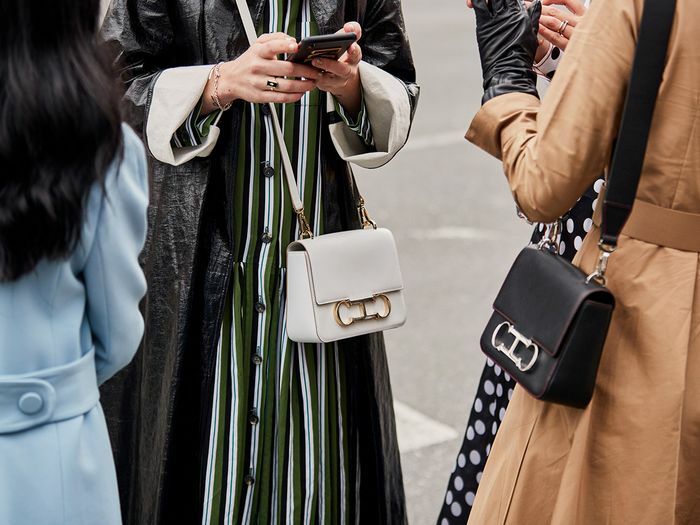 Including the fashion director of Harper'sBAZAAR.com, Kerry Pieri, and everyone's favorite handbag designer, Susan Alexandra, get ready to take note of the biggest fashion tips these sartorial queens have to offer. "I am a huge hacker. I find it impossible to buy anything retail price and always wait for pieces to go on sale. I'm also an obsessive vintage shopper. Poshmark and Etsy are my saving graces. I actually really enjoy the hunt. Lately, I have been in the mindset that it's better to alter and adjust my existing clothing rather than opting for new pieces (no waste, am I right?!)." "I love shopping on Heroine for pre-loved designer pieces and love scouring vintage stores for those special, one-of-a-kind pieces. I've found some incredible ones that have been in my closet for years." "Australian and New Zealand designers are obviously awesome and close to my heart, but they're also my hack to finding great steals. Start with the sale tabs (like here on my friend Sara's Sydney-based store The Undone). The opposite seasonality means those spring pieces are marked down at just the time you're starting to shop them up here, and even if you're shopping new-season styles, the super-friendly exchange rate is basically your personal bonus discount code." "My favorite fashion hack is definitely two-piece sets. Whether it's a formal suit or tracksuit, having a matching top and bottom instantly gives the impression that you put thought into your outfit, with very little effort." Shop the matching Senoia Sweater ($310). Shop the matching Colored Denim Skirt ($30). "This may not count as a hack, but I think that I generally avoid overspending by being thoughtful about the pieces I buy. That means I don't shop much fast-fashion and prefer to invest in pieces that can be translated into more than one season and will maintain their quality for multiple years. I also try to be discerning about which statement pieces speak the most to me and which just seem like a passing Instagram trend." "There's nothing I hate more than ruining a good pair of shoes—especially one that I spent a lot of money on. That's why I try to protect my shoes before I even wear them so that I don't have to spend a ton of money on repairing them later or, even worse, have to buy a new pair. For anything that doesn't have a thick rubber sole, I usually get a rubber sole put on at the shoe repair or use these affordable stickers that you can put on yourself. They keep the sole from wearing down and ruining the shoe itself." Next up, shop the 14 editor-approved designer handbags we all ended up buying.